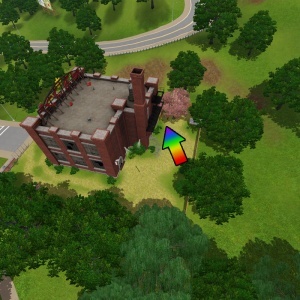 In The Sims 3, there are a lot of collectible items found around town. These items can be fun to collect, and valuable too. A full guide to these gems (including how to make the best profits) is below. Regular Collecting: Space rocks, metal ores, and raw gems will appear or "spawn" on the ground. They tend to spawn around landmarks like mines, clusters of trees, or boulders, though they may be out in the open too (especially space rocks). Particular rocks, metals, and gems will spawn in particular locations and will not spawn everywhere. Each location can have several items that can spawn there at different rates. 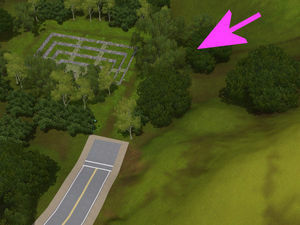 Which items spawn for your sims is random - you are just as likely to find a rare one on your first day collecting as your hundredth. This can be a quick way of collecting lots of rocks, gems, and metals, but can be time consuming with your sim running all over. Exploring Catacombs: The mausoleum in each of the graveyards can be explored to find rocks, gems, and metals as well as other collectibles like books, seeds, and gnomes. Rummaging in Trash: The "rummage" option on trashcans of inhabited homes can result in a mixture of items ranging from rubber duckies and bubble bath to high-value rare gems, metals, and rocks - but it also tends to fill your sim's inventory with Trash, which will give them a Disgusted moodlet and make them stink. Rich sims tend to have higher value items in their trash than middle class or poor sims. Breaking Space Rocks: In EP1: World Adventures, when your sims get high enough in Martial Arts skill, they can break Space Rock blocks instead of wood or stone blocks. There is a 70% chance when breaking a Space Rock Block that your sim will get at least one gem (though you can get up to three gems from one block). This means a 30% chance of getting nothing, 49% chance of getting a low value gem, 19.6% chance of a medium value gem, and about a 1% chance of getting a high value gem. 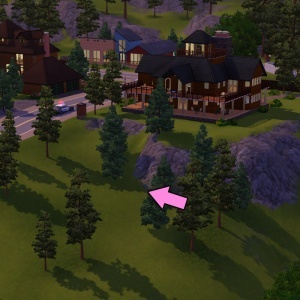 This can be the most profitable and easiest method of collecting gems, since your sim can stay at home and do it in their living room and just pick up the goods afterward. Tomb Adventuring: In EP1: World Adventures, you can locate items laying around in tombs, hidden in holes, and in treasure chests. For more information on tomb adventuring, see: Tomb Adventuring. Many precious and semi-precious stones (some real, some simaginary) can be collected for fun and profit. Some are more rare and valuable than others, and you can get them cut to enhance their beauty, and depending on the cut, their value too. Gems look lovely on display in your sims' homes. Some of the rarest gems, Rainbow Gem and Pink Diamond, can be an almighty pain to find due to their extremely low spawn rates. 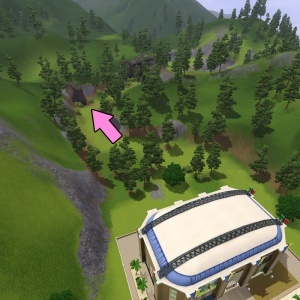 Below are the spawn locations for those two rarest gems in Sunset Valley and for Pink Diamond in Twinbrook. You may have to wait quite a while for the gems to spawn there, but at least you know where to go to look. These may not be complete spawn locations - they may spawn in more locations than these. Near the beach, across the road from the three vacant lots on Redwood Pkwy, between a large pine tree and a big rock. On a small hill to the right of the path leading up to the mine on Pinochle Point. Right behind Outstanding Citizen Warehouse Corp, near the dumpster and pink tree. May spawn outside the fence, or inside it. Near the beach, on the hill below Wagner's Repose on Redwood Pkwy. On a little rise just off the path leading up to Pinochle Pond, near Goth Manor. About halfway down the path behind Llama Memorial Stadium, leading to Crystal Springs, behind/under/around a bush at the bend in the path. Next to the amphitheater, in the shade of the trees surrounding it. Under the trees behind the cheap diner. If you just want to know the best cut to use per gem, just look at which one is bolded and shaded. Using that cut will, on average, give you the highest profit, though this may vary from one particular gem to another. CS Note: All the values in the chart below were recalculated based on the uncut gem values in the original table, with the exception of the three new Supernatural stones which used values from the game files. After an uncut gem has been kept in your sim's inventory for some time, the sim will become nauseous. 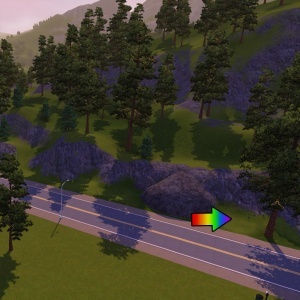 Once the sim has become nauseous, you can take the uncut Tiberium out of the sim's inventory and the ore will change into a Large Spire Cut which glows green. You can also get it cut yourself into either a Spire or Heart cut; the spire cut costs 6500, and given 24 hrs will turn into a Large Spire Cut of its own accord. It is obtained reliably from breaking space rocks, maybe 2/day if one practices all day long. There should be spawn points and occasionally a merchant in egypt sells it. In both uncut and spire form, it periodically puts off a glowing green "splash" and has a soft "ping" sort of noise that goes off at the same time. In Large Spire Cut form it is incredibly valuable - upwards of 40,000 simoleons. Geodes and Septarian Nodules only have two cuts: Polished Split Cut and Heart Cut. The info for Polished Split Cut is below. Heart Cut information is above in the Regular Gem Cuts table. Gem Collector Collect 10 types of gems, and the rarest gem cut shape will be bestowed upon your Sim. 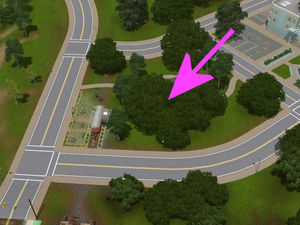 Your sims can also locate various rocks and ores scattered around your neighbourhood to collect and sell. These ores can be smelted by sending them off by mail. The next time the mail comes, your sims can check the mail and retrieve the ingots, which can then be sold or displayed. Ingots will stack on top of each other. 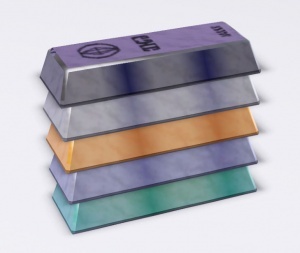 A stack of all five types of metals (from the base game) as ingots. Though Mercury starts as an ore, when smelted it returns to you as a liquid in a vial (Mercury is a liquid at room temperature) rather than an ingot. Solid mercury is available through Transfiguration. Compendium may be collected as a regular ore, or is available via Transfiguration. It cannot be purchased. Supernovium may rarely be available for purchase at the relic merchant or collected as ore, but is usually obtained via Transfiguration. Placing at least 5 different types of metals for Transfiguration results in Supernovium ore.
Metal Collector Find 5 unique metals, and your Sim will routinely get additional ingots returned in the mail. Various space rocks in different sizes can be collected by your sims. 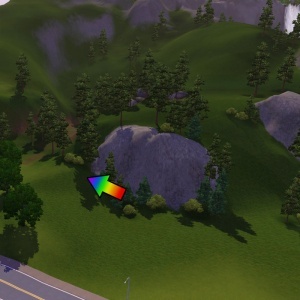 These are assigned a base value, which may change or stay the same when your sim Analyzes the rocks. You can "Analyze All" to get the true value of all the rocks in a whole stack. Rocks can be placed on display or sold. They're the most boring of rocks, gems, and metals. Values of the rocks found are calculated by the (weight of rock) x (multiplier), unsure of exact formula and price. Amateur Rock Finder Once your Sim finds at least half of the varieties of space rocks, it will be easier to find ones you haven't yet stumbled across. Awesomest Rock Collector in the Universe Find all the space rocks, and your Sim will have more luck collecting ones of higher value. This page was last modified on 11 September 2012, at 02:28. This page has been accessed 443,068 times.